Pea Chong is a design visionary and the founder of D’Initial. Youthful and vibrant, these qualities help Pea to deliver a fresh touch to her designs and works. 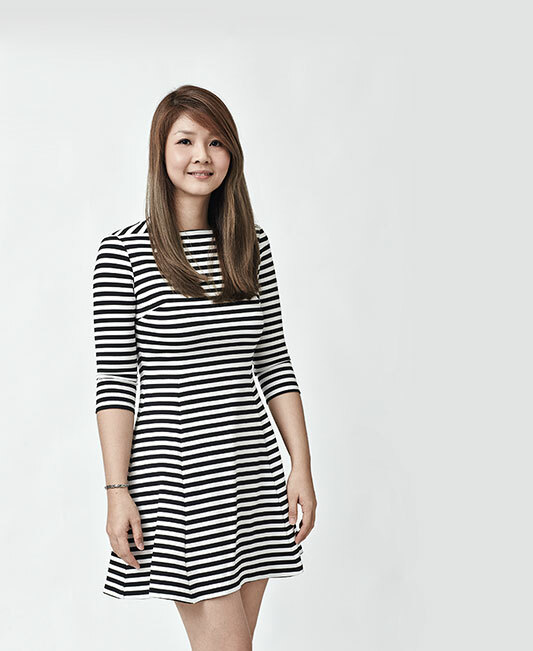 Pea is confident and hands-on, always on hand to aid her team and respond to the requests of clients. She really understands homeowners and always goes the extra mile to help them realise their dream homes. Talented and motivated, the D’Initial team is a carefully curated group of professionals who strive for the best in each design. Equipped with accredited education, the D’Initial designers have an innate flair for colour, spatial arrangements, architecture and textiles. Well versed in their people skills, the D’Initial team can decode any idea from clients and transform them into masterpieces. Balancing D’Initial’s design style with homeowners’ personal flair, the team members are experts in steering clients towards the best outcome, while still allowing the clients to have full control of their design choices. D’Initial always aims to stay well ahead of the client’s timelines and budget expectations, to ensure a good experience all round. Stylish and contemporary, the D’Initial team always stays abreast of design trends by actively pursuing design publications in their spare time.